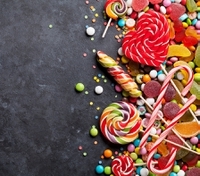 10 Apr 2019 --- Sugar does not improve any aspect of mood and can even worsen it, according to new research published in Neuroscience & Biobehavioral Reviews. Despite the sudden burst of energy associated with sugar consumption – the “sugar rush” – these findings suggest that sugar increases tiredness and lowers alertness within an hour of its consumption. The researchers note, therefore, that “sugar rush” is a myth and hope that their findings can inform public health policies to decrease sugar consumption. The research team set out to decipher whether or not sugar could positively affect mood. Using data collected from 31 published studies involving almost 1,300 adults, the researchers investigated the effect of sugar on various aspects of mood, including anger, alertness, depression and fatigue. They also considered how factors, such as the quantity and type of sugar consumed, might affect mood and whether engaging in demanding mental and physical activities made any difference. The findings showed that sugar consumption had virtually no effect on mood, regardless of how much sugar is consumed or whether people engage in demanding activities after consuming it. Moreover, people who consumed sugar felt more tired and less alert than those who had not. The team concludes that the idea of a “sugar rush” is a myth without any basis. Excessive intake of sugar, much of which comes from soft drinks, is often blamed for public health issues including the childhood obesity crisis which is apparent in the UK, Europe, the US and elsewhere. It is now one year since the The UK controversially implemented a sugar tax on beverages with added sugars. The intervention had pushed manufacturers to formulate lower-sugar alternatives, but high levels of sugar remain in other popular products. “The rise in obesity, diabetes and metabolic syndrome in recent years highlights the need for evidence-based dietary strategies to promote healthy lifestyles across the lifespan. Our findings indicate that sugary drinks or snacks do not provide a quick ‘fuel refill’ to make us feel more alert,” says Dr. Sandra Sünram-Lea of Lancaster University. The drive to cut sugar consumption is strong, yet studies continue to highlight the ongoing high intake levels among populations. In January, evidence from Public Health England (PHE) found that by the age of ten, children have already exceeded the maximum recommended sugar intake for an 18-year-old. This was based on their total sugar consumption from the age of two. The figures coincided with the launch of the Change4Life campaign from PHE, which encouraged families to “make a swap when you next shop” in a bid to cut sugar consumption and renew focus on sugar reduction as a method to tackle childhood obesity. Consumers are increasingly attracted to energy sources that tout a low- or no-sugar claim. There has been a notable rise in natural energy drinks on the market as consumers are increasingly moving away from caffeine and taurine-based beverages with natural sweeteners. Recent launches in this space include from Coca-Cola, with its Coca-Cola Energy debut.